Suitable for cutting PVC and Aluminum profiles. Angle range: -45°, 90°, +45° angle adjusting rotated by manual. Infeeding controlled by air-hydraulic damper, feeding speed linearity adjustable. Angle range: -45°, 90°, +45° angle automatic indexing. 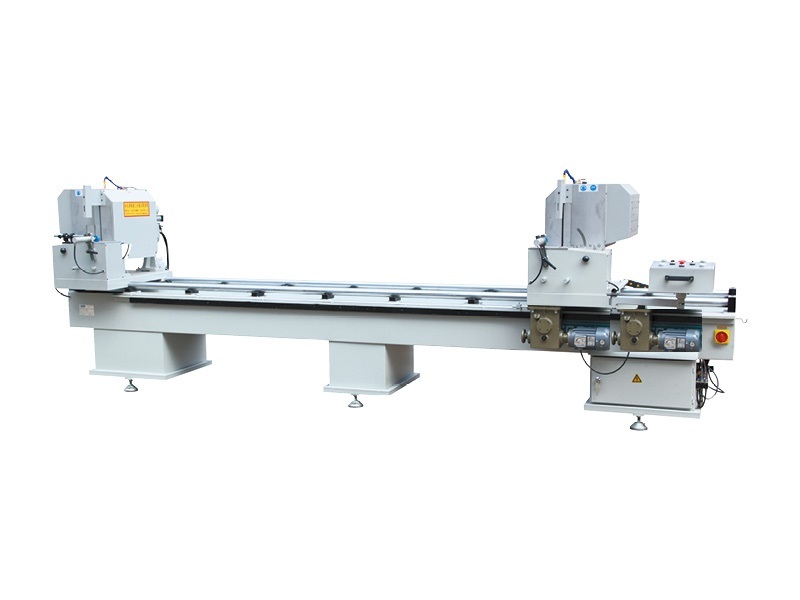 Saw blade rotates smoothly due to high accurate main spindle, steady running with high precision. Infeeding controlled by pneumatic, feeding speed linearity adjustable. 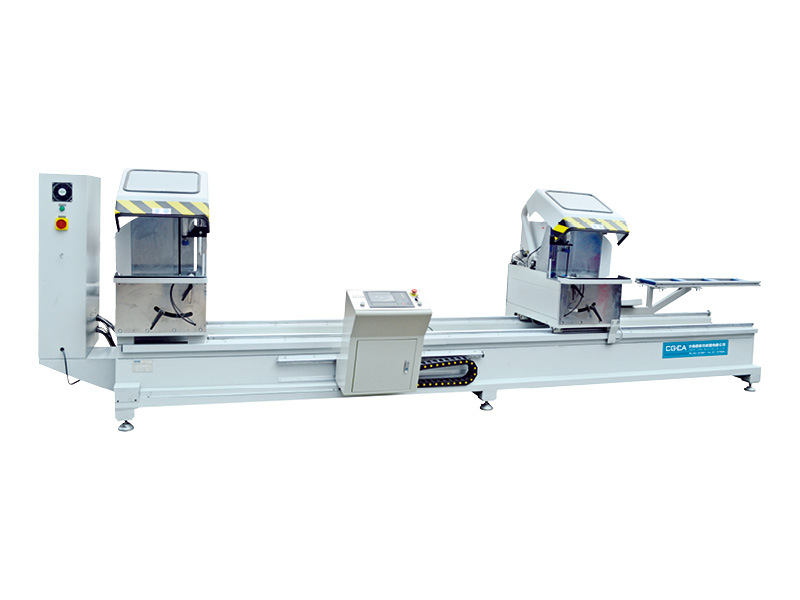 High precision linear guide pair ensured steady and long-term processing accuracy. Auto-opening shield makes the operator more safety. Adapting digital displayer ruler to realize the digital displayer location as needed. 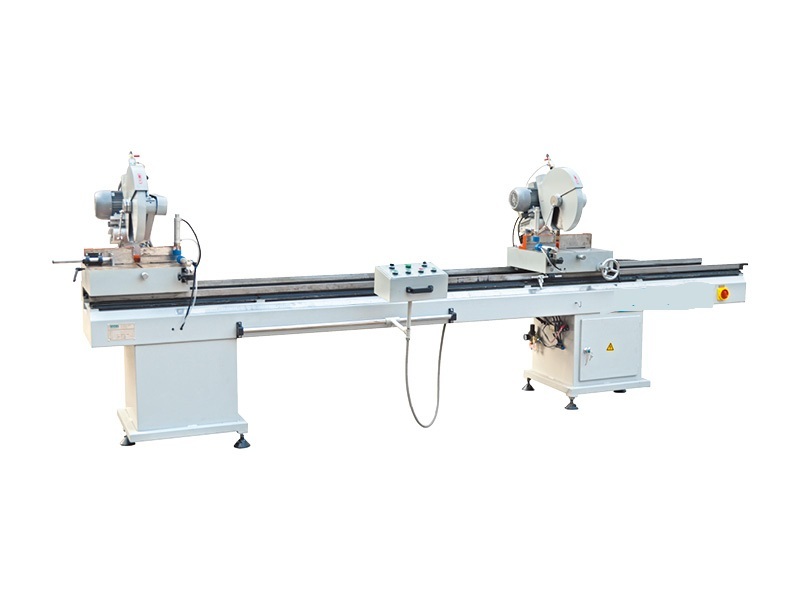 Adopts industry grade computer system, closed-loop control, high precision and quick shift for cutting Angle. Optimized function: optimizing to cut according to the working list. Tabulation cutting function: many kinds of profiles can be selected quickly. 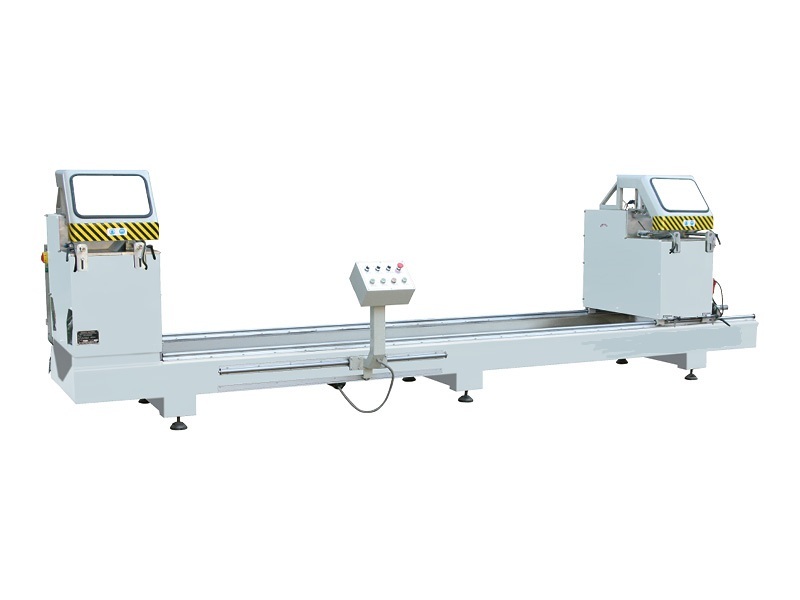 Suitable for cutting PVC and Aluminum profile. Swing infeed make cutting force to the profile completely. Double compaction system in horizontal and vertical direction for different profiles. 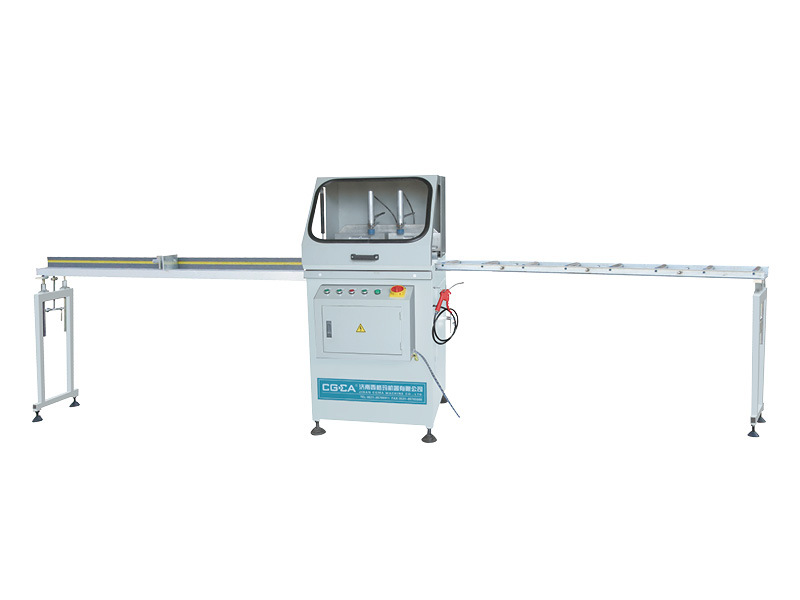 Suitable for Cutting Both u-PVC and Aluminium. Angle can be changed -45° to +45° automatically.